The full artiste roster is as follows: Thursday June 27 — Davido, Edwin Yearwood and Krosfyah, Nadia Batson, Farmer Nappy, Rucas HE, Ras Vally, 5 Star Akil, Shal Marshall, Skinny Fabulous, AkaliUsweet, Fimba, Charly Black, and Nu Vybes Band International. 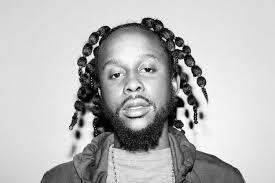 Friday June 28 — Popcaan, French Montana, La Insuperable, Cocoa Tea, Infamus, Imark, and Small Axe Band. Saturday June 29 — Buju Banton, Smokey Robinson, Ella Mai, Mapy Omari Banks, and Melanin.